Matthew (10) and Jamie (7)planing their defense strategy in Luxantis! Second game and Ian (grown up) joined the gang. The monsters were made a little harder (mostly Lvl2 monsters, couple lvl1 and 1 lvl3), and this time the adventurers were ready and they had a plan! and the Castle of Luxantis was saved! Pros: nice mechanism with the lights and easy to scale difficulty. Really promote discussion and coop with the kids. Rules are clear and simple as per Haba’s usual. Overall the kids (Matthew and Jamie) really enjoyed it! 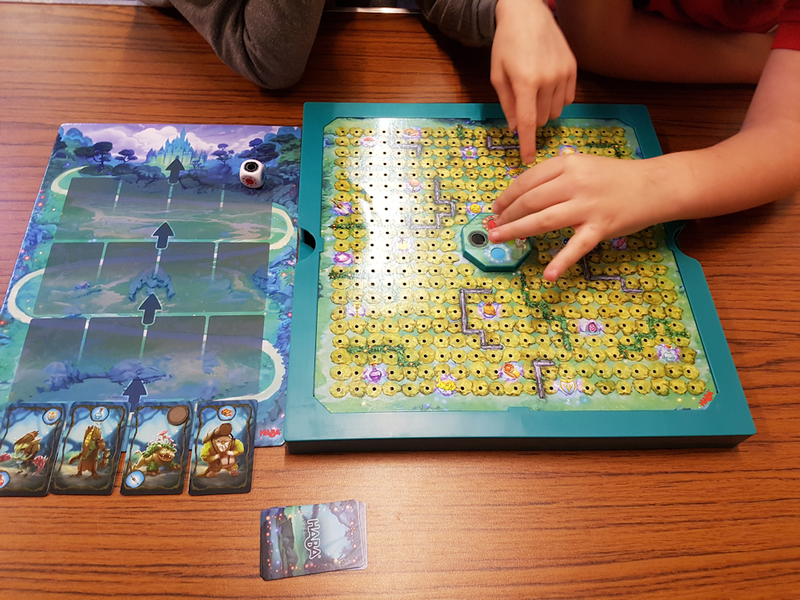 Matthew said it was one of his new favourite game and Jamie could not wait to play again. And it was fun for the grown ups too.